Majority rule and genuine voter choice are marks of a functioning democracy. To support voter choice in high turnout elections, we act to encourage understanding, adoption and effective implementation of instant runoff voting, a ranked choice voting system used in a growing number of American elections. Instant runoff voting is increasingly recognized as a practical and cost-efficient way to replace low-turnout runoff elections. In New York City, the low turnout in Democratic primary runoffs and the potential of IRV made front page news in the New York Times, and FairVote’s Rob Richie advocates IRV in another Times piece. 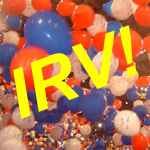 IRV also has gained more support in commentary for elections in Los Angeles and Long Beach, California, as well as in the Detroit Free Press. Voter Choice Massachusetts has a website promoting a petition drive to get IRV on the Bay State’s ballot next year, and the Trenton Times has commentary touting IRV for its multi-candidate race for governor. 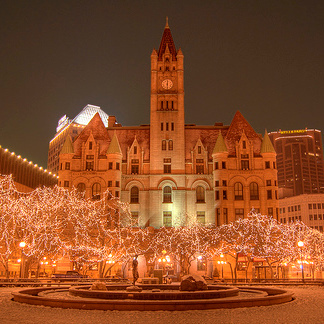 In Minnesota, Minaneapolis readies to use IRV for local elections for the first time, and twin city St. Paul decides on IRV on its own November ballot. 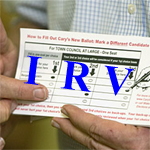 Internationally, British prime minister Gordon Brown is pledging a national referendum on IRV. Detroit Free Press: Haven't Detroit voters spoken enough?